Ok, back to reality, because my little lanterns are currently hanging on a wall and will remain there until the thermometer reaches the dizzying heights of at least 20C. 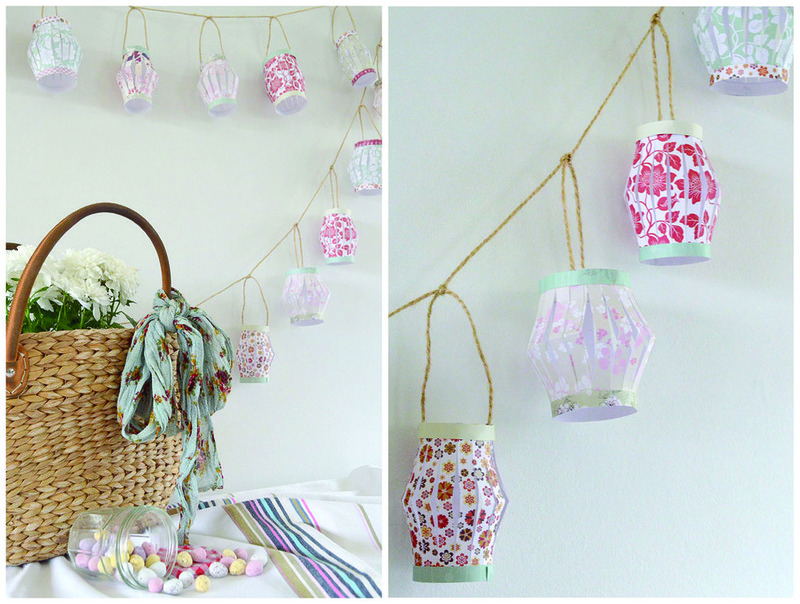 I've hung up 15 of those little handmade lanterns and have to say that it really does cheer me up and lends a welcome pop of soft colours. I know you really would like to know how these are made! So, hop over here and check out my little tutorial. Now for something different: I am nearly (fingers crossed) done with my new blog/site but still need to tweak some parts. I will try and catch up with you as much as possible, but might be quieter here as I'm concentrating on putting some posts up on the new site. I hope you understand and really look forward to revealing it soon!